Andrew Morrison, a professional builder of 20 years, designed and built hOMe in 2013 along with his wife Gabriella. 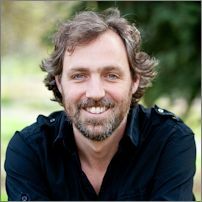 He shares his knowledge by teaching workshops and offering consulting at their website www.TinyHouseBuild.com. His tiny journey started 20 years ago when he and Gabriella lived in an 80 sq. ft., 100 year old log cabin in the mountains of Colorado while pregnant with their first child. He writes about finding joy in diversity.